I don’t normally make a big deal about breakfast. 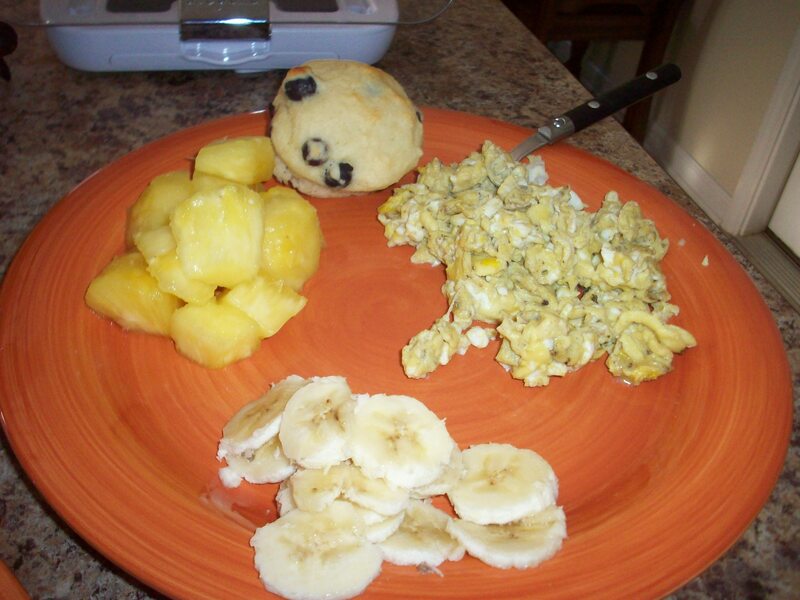 Every so often I will make waffles or french toast…but usually it is scrambled eggs and an english muffin. Or better yet, cereal. For some unknown reason to me, I got a wild hair this morning to make a frittata. I’ve never made a frittata. But I started pulling things out of the fridge and into my cast iron skillet they went. And you know what? 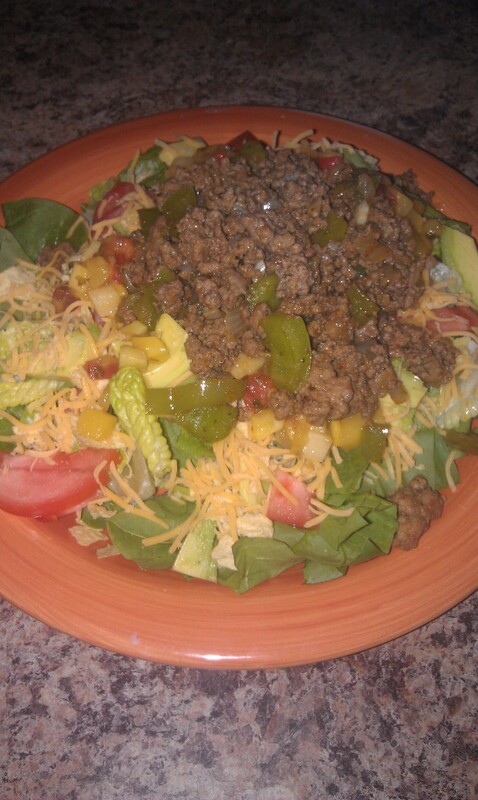 It was freaking delicious. 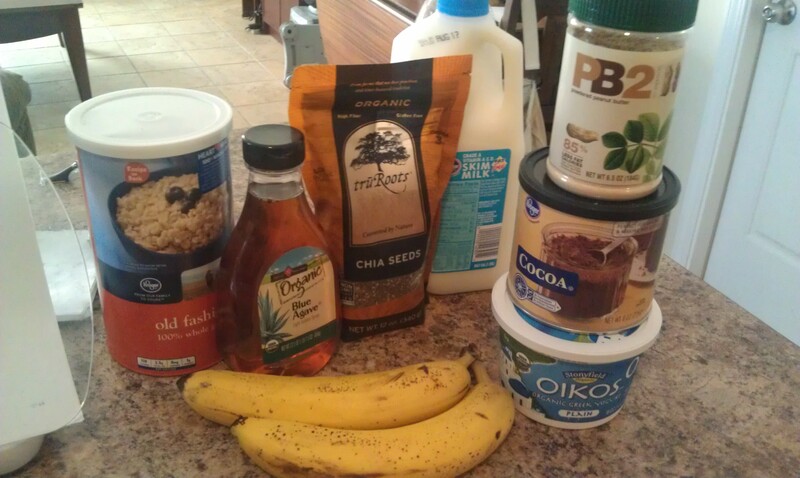 Even my hunny proclaimed that this was his new favorite breakfast. Weird. That never happens, he is normally very set in his eating habits, especially when it comes to favorites. A little bit spicy, very savory, and very filling, we served this with honey covered biscuits and we were happy campers until almost two this afternoon. 3-5 tablespoons oil, I used canola oil. Dependent on how good your pan is at being not sticky. 1. Heat about 1 tablespoon of the oil in a skillet. 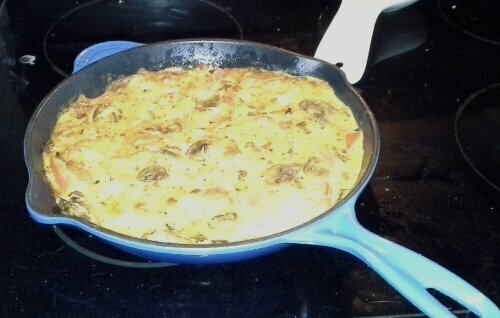 I really liked using my cast iron skillet for this one (thanks sis-in-law!!). Cook the onions until they are fragrant. Add in the potatoes and one to two more tablespoons of the oil. Let those cook on a mexium low hezt until they start to get crispy. Preheat broiler to low. 2. Add in the chorizo. Stir everything together, and let cook for one minute. Ground chorizo typically comes precooked, so you’re basically just warming it. Next add in the corn, mushrooms, tomatoes and chicken. Stir everything together and let it warm through for about a minute while you prepare the eggs. 3. In a bowl, mix the spices and the eggs with 1/2 a teaspoon of water. Pour over the mixture in the pan. Move it around so that everything is relatively even, and let cook for one minute. 4. Put the pan in the oven under the broiler, and let cook for approximately 8 minutes until the eggs are set. They will spring back when pushed if they are ready. Slice like a pie and serve! Today I had plans to go shopping for some “grown up” clothes in preparation for finding a new job. But before I made my way down to the city, I had to get a good workout in, and follow up with some delicious breakfast. Without my hunny here, I can get away with having breakfast that’s filled with vegetables. He would never hear of that. But first, the workout. I kind of invented a new workout that is based on some stuff I’ve seen on Pinterest. I did five exercises – jumping jacks, squats, crunches, mountain climbers, and push-ups. I started with 50 jumping jacks, then 40 squats, so on and so forth, and worked down the repetitions until I did 10 of each. Then I followed that up with some boxing strikes as my cardio. All in all, made for a good half hour. The original plan was for an omelet. I have yet to master the art of making eggs into a tortilla-type shape and folding them over in a pan. Therefore it became scrambled eggs with good stuff mixed in. 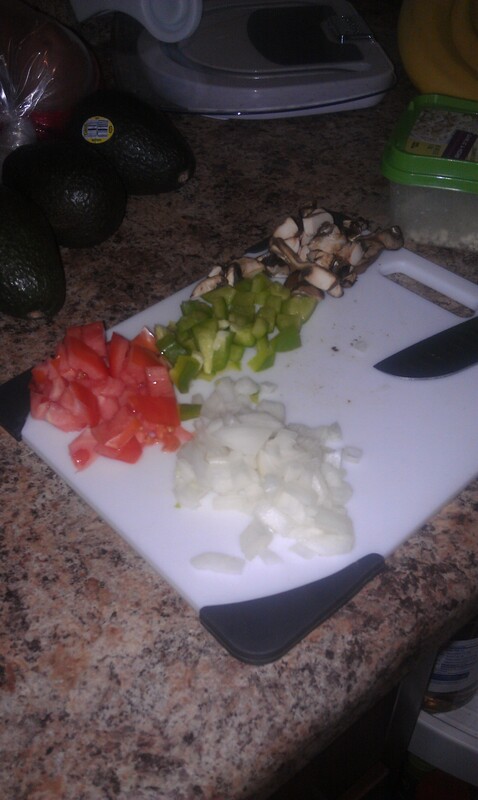 Tomatoes, onions, mushrooms and bell pepper, tossed over some light heat with some cooking spray, salt and pepper. Add in the egg that’s been mixed with garlic powder, ground sage and a touch of seasoned salt. Scramble. Just before it’s fully cooked, add in a few leaves of julienned spinach leaves and some feta cheese. 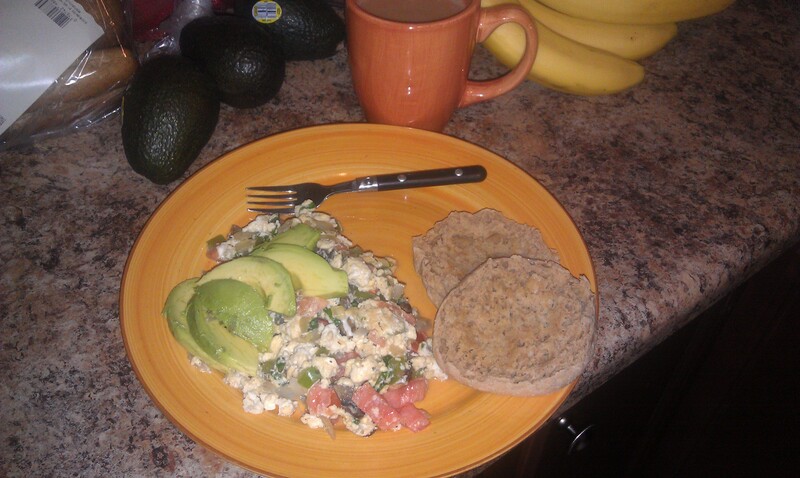 Finish and plate with a whole wheat english muffin and tasty avocado. I have an avocado obsession. Did you know apple butter only has about 25 calories per tablespoon? That makes me super happy. And yes I know I’m have a squirrel-complex moment. Anyway, all that works out to be 554 calories, which works out just fine when I wanted to stay full for a while. It did mean that I ate a few too many calories today, but it was well deserved. I’m actually kind of excited for breakfast tomorrow. This weekend was pretty laid back and relaxed, and it was perfect. I got to spend time with my hunny, and made some tasty treats for us to enjoy. 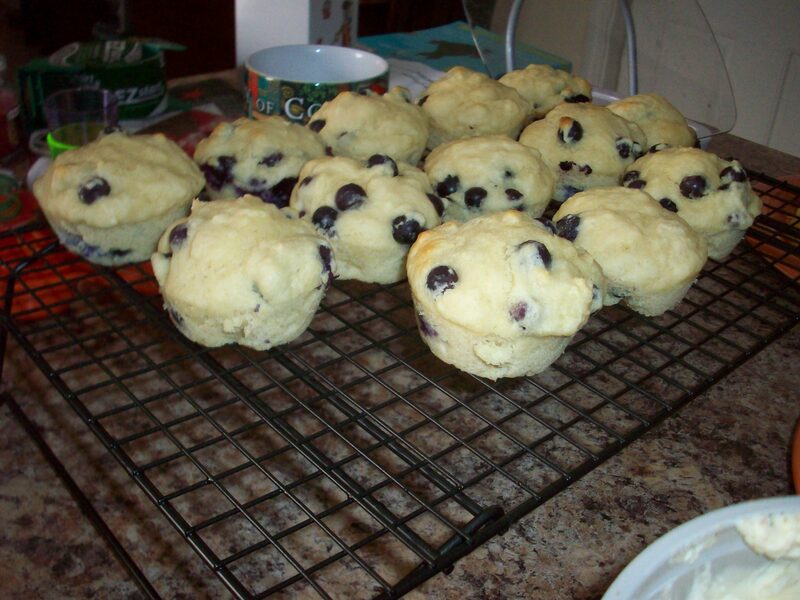 It all started with blueberry muffins. Don’t tell him – but they’re healthy! I got them out of the Eat What You Love cookbook that I’ve mentioned on here before. 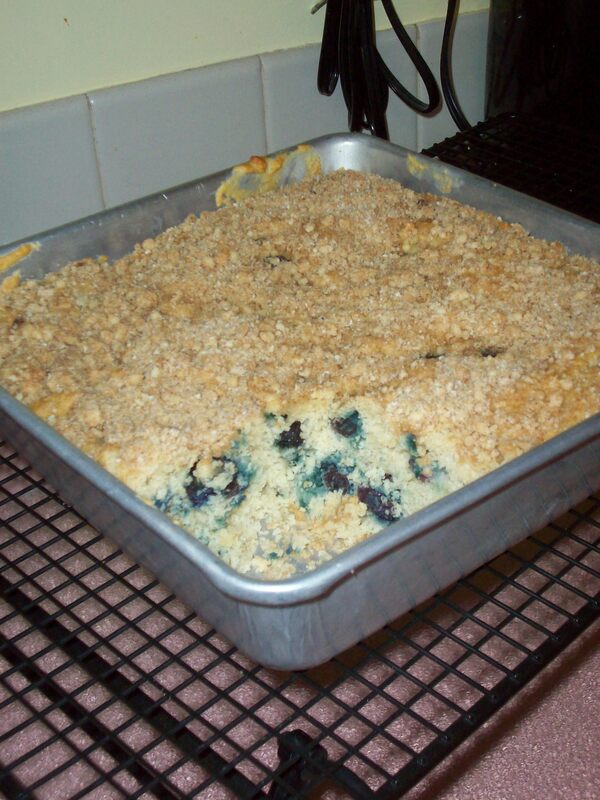 They use Splenda with just a little bit of granulated sugar, and they’re just slightly golden when they are done – but they’re moist and the blueberries pop in your mouth. Delicious! Pair a muffin with some fruit and eggs for breakfast, and you’ve got a fantastically healthy, delicious and energizing breakfast. I even got to eat some of that yummy pineapple I mentioned in my last post. And then I made this bread. I’m calling it BAM Bread. 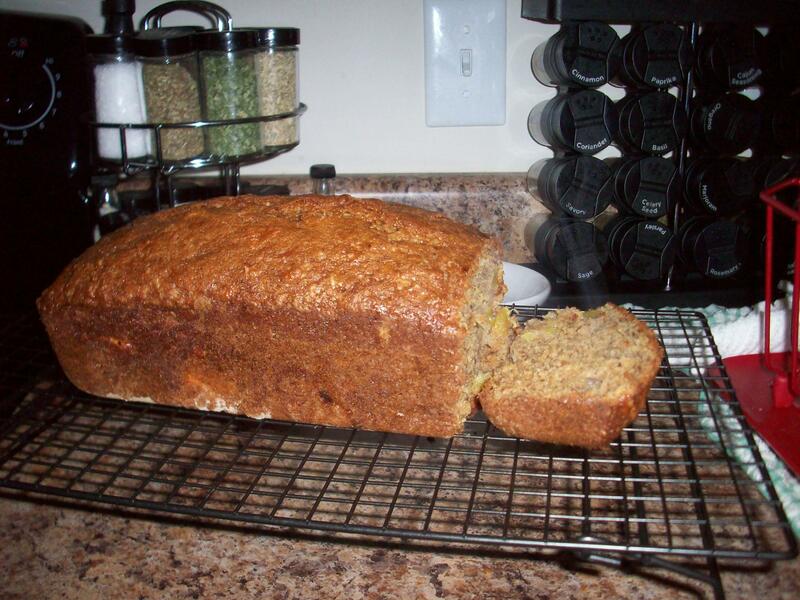 Banana, Apple and Mango Bread. When I bought the mangoes with the pineapple the other day, I planned on putting it in muffins or something. Well I found a recipe for a Mango Lime Bread. I used that and instead of the “plump golden raisins” it called for, I put in 2 mashed bananas. Baked it for the same amount of time, added everything else the same and it turned out simply beautiful. Oh, and tasty. I wouldn’t post it if it wasn’t tasty. My hunny is in the Army. That means he gets up before the sun comes up and comes home after it’s gone down. At least in the winter time. Not allowing himself a lot of time in the mornings to get ready to go in the name of sleep, he doesn’t always grab something for breakfast and ends up spending money. This isn’t going to work for me. So I made him a solution. Two actually. The first one I made is essentially an Egg McMuffin, but it took a tenth of the time to make the batch, and I can freeze it! The second one is essentially a hot pocket with sausage, hashbrowns and egg inside. And I can freeze that too! Both of the recipes I got from my new addiction, Pinterest, as links to others’ cooking blogs. The breakfast pockets (the first picture) was from BudgetGourmetMom.com, and the sandwiches were from Macheesmo.com. 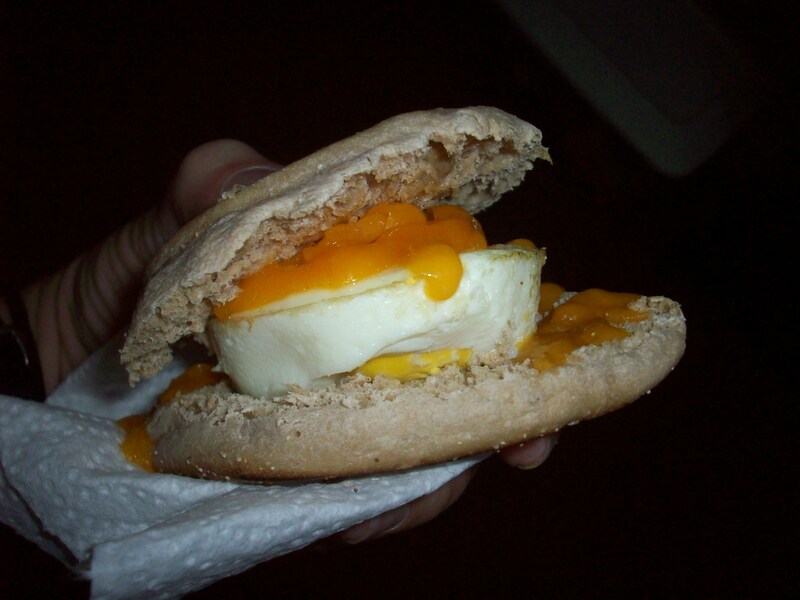 The egg sandwiches are so simple. Get 12 english muffins (2 packs), slice them and lay them out on cookie sheets so they can be toasted. You need 12 large eggs and a muffin tin next. Crack one egg per pocket in the tin. Bake the muffins at 350 for 10 minutes, and the eggs at 350 for 20 minutes. Meaning, cook them at the same time and take the muffins out first. Grate up some good cheddar cheese, and when they’re done, combine the three – muffin, egg and cheese. The tricky part that I wouldn’t have figured out: If you’re going to freeze these for on the go breakfast like I did, put the finished muffins on a sheet tray and put them in the freezer uncovered and unwrapped for one hour. Then take them out and wrap them in foil. And if your hunny happens to have a toaster oven at work, he’s all set! A microwave works too, they just stay crispier when you do it in a toaster oven. The breakfast pockets were a little more complicated, but worth it. Basically, you make a dough – let it rise. Cook up sausage and onion, then put in milk, egg, frozen hashbrowns and spices. Once your dough has risen, cut off little chunks, and roll them out flat on a floured surface. Put goodies in the middle, then fold and pinch them closed. Bake at (you guessed it!) 350, for about 20 minutes until they get golden brown on top. The recipe that she uses for the dough is perfect because it’s just a little sweet to offset the savory of the inside goodness. And if you’re going to freeze these ones too, then do the same thing. Line them up on a sheet tray and put them in the freezer uncovered and unwrapped for one hour. Then take them out and wrap them in foil. Now lets see how long these last me before I have to make more to satiate his big appetite. 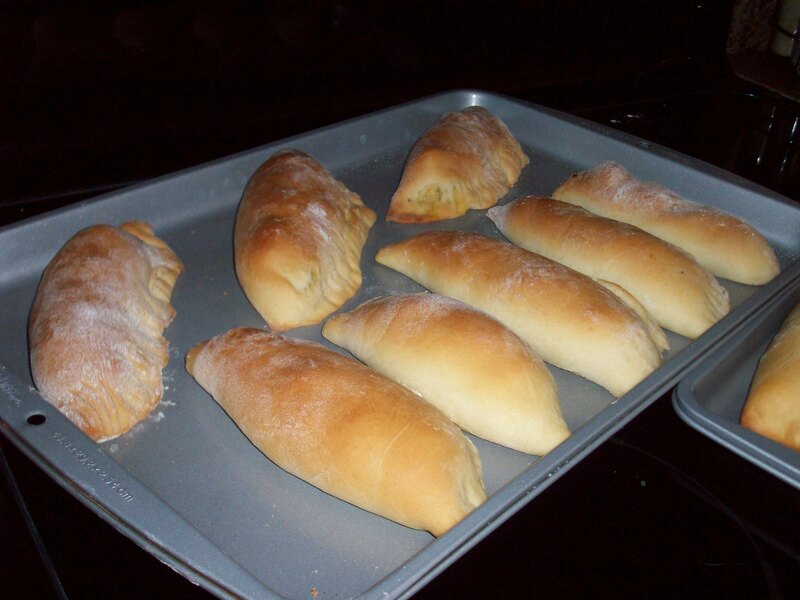 By the way, go to my recipes page for the breakfast pocket recipe. My fiance and I just moved to a new home in a new state, a place neither of us have been to. It’s been an adventure to say the least! But in the new home is a lovely new kitchen – and when I say new, I mean only one prior tenant got to use it. And it’s amazing. 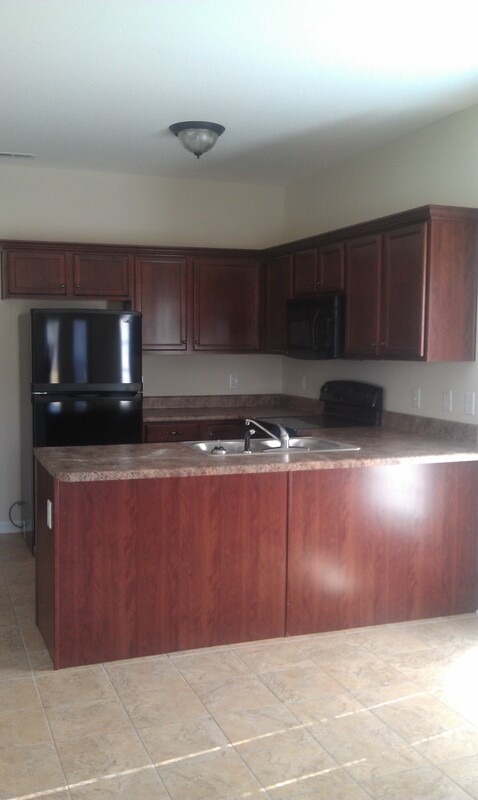 It’s got beautiful cherry cabinets and a fantastic faux granite counter top. It came with a dishwasher, refrigerator, and even a microwave. And an electric stove. My first thought about the stove was of disgust – every electric stove I’ve had the “pleasure” of working with was a disaster. The stupid coils were never straight and it was usually so ancient that it would take 20 minutes just to heat and forget about cooling it down while you’re cooking with it. But this one… This one is a flat top stove, and it heats up just as quickly as a gas stove does – and it doesn’t sit crooked! I think I can handle that. So the first dish that I made in my lovely new kitchen with all of my lovely kitchen toys was pasta. The fiance asked for pasta. It was simple, elegant and delicious. I’m pretty sure I’ve made it before and posted it here, but no matter. It’s a go to pasta recipe. The second thing? Breakfast. French toast, based on a new recipe found with a quick Epicurious search. And finally, my new home was fragranced with the smell of chili – perfect for a chilly day. 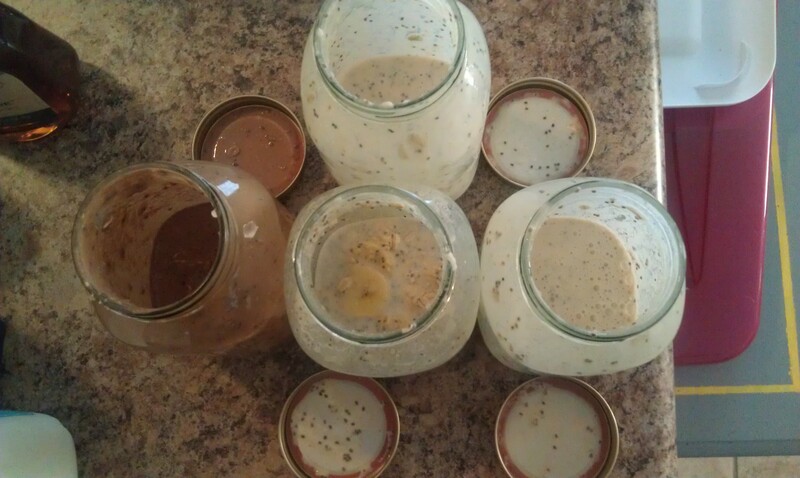 I plan on making a whole slew of delicious things in my kitchen, I even bought a (on-sale!) immersion blender so I can attempt soup. And then I thought about the amazing Ghiradelli Peppermint Bark that only comes out around Christmas time. Wonder what I can do about trying to make that one? I think I’m definitely going to enjoy my lovely new kitchen in my lovely new home. Even if it is ridiculously cold outside. Yesterday was my birthday… the big 23! Not one of those get down and crazy birthdays, but one of my best friends came over for dinner, and that was just fine for me. Not everything has to be extravagant, right? I decided that I wanted to make dinner on my birthday. Confused mom a little bit. But I like to cook, and I don’t get to do it a lot anymore, so it was a treat for me. I started off making a Berry Coffee Cake. 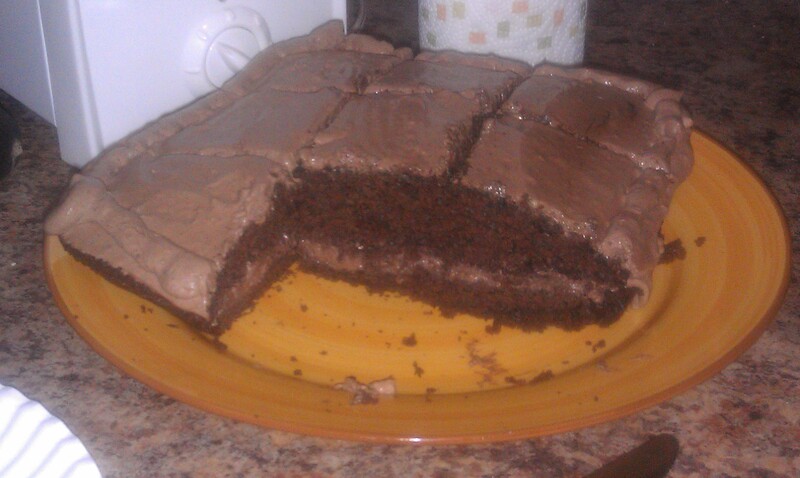 Now, what I haven’t told you yet, was that this was the second try on this cake. I made it a couple days ago and much to my dismay and frustration, it came out way undercooked. I followed the instructions, may have added a little too much liquid, and the cooking time just wasn’t adequate. Teach me to just eyeball amounts when baking. What’s cool about this coffee cake is that even though it’s light and fluffy (when you cook it right), and tastes like it should be utterly fat-filled and unhealthy, it came out of a fantastic new cookbook by Marlene Koch, called Eat What You Love. She takes every day recipes that people love (it’s a book filled with comfort food) and makes it healthy. What’s super cool about this cookbook is that she doesn’t substitute flavor for calories. There’s even a paragraph in which she goes into detail about how if substituting a “low-fat” versus “non-fat” item will decrease the level of flavor, she’ll opt for “low-fat.” I like this lady. Thank you Grandpa for introducing me to my new favorite cookbook! Anyway, I had the first piece with my coffee this morning, and it was delectable and believe it or not, filling! Score for low calorie items! 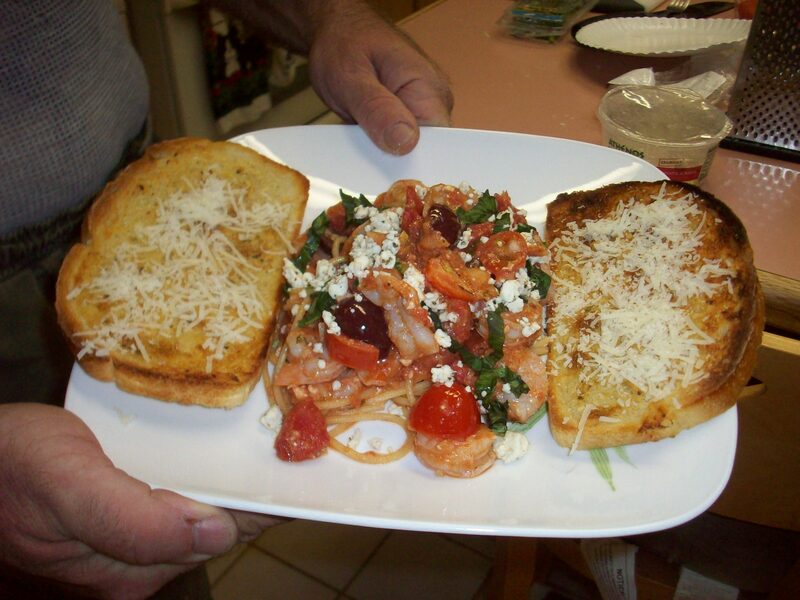 I’ve put in the bibliography and the recipe on the appropriate pages for your cooking pleasure. And on to dinner. Once again editing one of my favorites, I made a creamy version of my Medling. And since the recipe was requested by my best friend, here it is… Mom said it was a little too spicy for her tastes, but she ate her portion worth, which means it was good enough to overcome the spiciness. The difference here is that I added artichoke hearts, a little bit of parmesan cheese (freshly grated of course) and more sauce than I normally would. Let’s just say there was more goodies than pasta and I was totally OK with that. 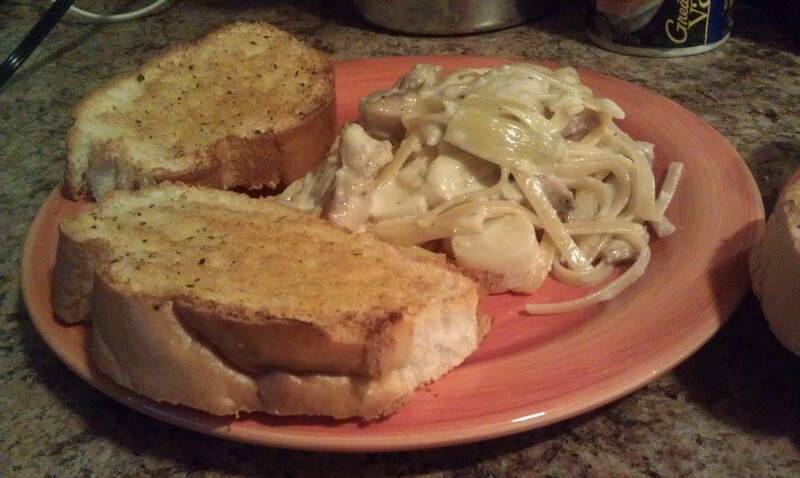 And of course, I made my favorite garlic bread to go with it. Like I would have it any other way with my obsession for garlic.